Good tubes- reliable and strong! Was pleasantly surprised that these are the smooth valve stems. Will definitely stock up on the next order. Priced lower than many other options, decent weight and good quality. Holds air and they have not been leaking out of the box as I have seen with other low cost brands. Smooth stem saves the o-rings on your pump from excessive wear. Good reliable tubes. I've been using them for the last 7 years and had no problems. These are great tubes at a great price. I use them exclusively on my Zipp 404 and time trial bike set-up. 80mm valve tubes are normally hard to come by and when you do find them they are usually double the price of short stem tubes. But not these, premium product at discount price. As described. Its just a tube with a nice long valve for use with deep section wheels. Delivery time was great. 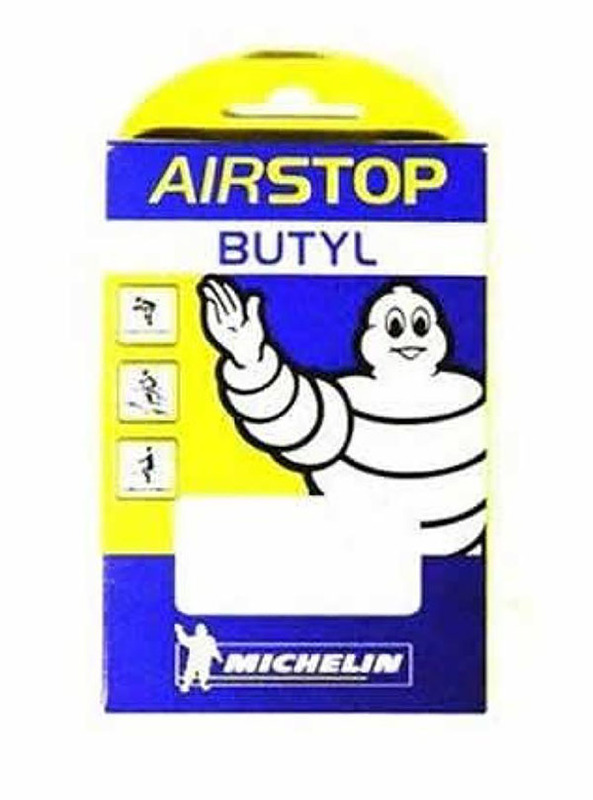 I use Michelin tyres, so its only fitting I use their inner tubes. Long valve for my Mavic carbons. I've never used other makes, so I cannot compare them, only to say I've never have any trouble with them. These are my preferred tubes. Based on my experience, they preserve the pressure longer. Excellent tubes. I have used dozens of these and they are extremely reliable. Not the lightest tubes available, but they are durable and I always use them when I can't afford to flat. Absolutely a great purchase! Michelin tubes and tires are some of the best ever made. I appreciate all the hard work and engineering that has been put into making these items the best they can be. These are fine tubes. Just need to check pressure twice a weak as butyl is not 100 percent airtight. Michelin are my favorite tubes, reliable and light weight. Nice option finding them in 80mm valve for the deep dish rims! Excellent tubes. Long valves work perfectly on my Enve 4.5's.